Twelve-year-old names brain tumor "Michigan", then beats it. The day after Browns fan Scott Entsminger takes an epic swipe at his beloved team in his obituary, we get a very nice heartwarming story out of Columbus. As reported by NBC Sports, 12-year-old Buckeye fan Grant Reed just finished his last chemotherapy session, where he beat the brain tumor he had nicknamed "Michigan." Complete story after the jump. On the field over the past several years, Ohio State has gotten the best of its hated rival Michigan. Recently, though, the Buckeyes were a part of an even bigger win off the field. 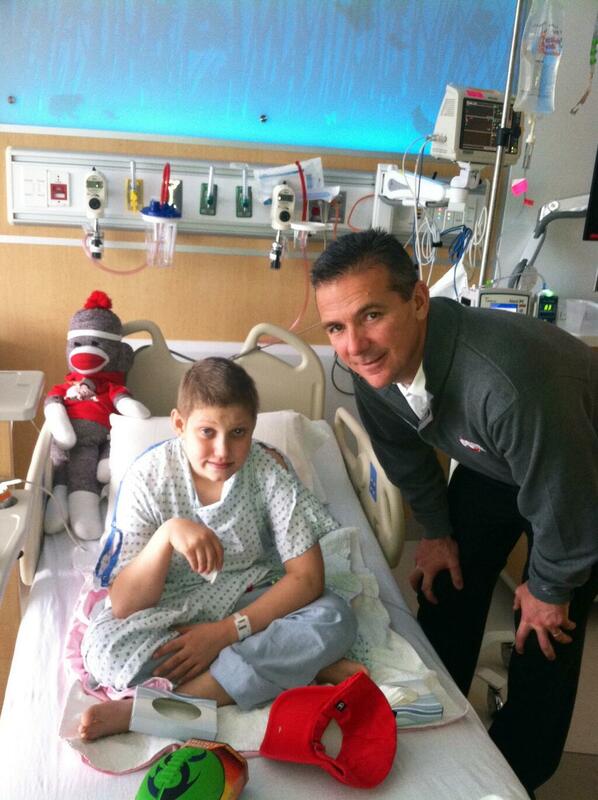 So, with the final chemo treatment in the book, the young man had, in essence, beat Michigan. Awesome. “We’ve beaten Michigan for the short-term, but like any rival, there’s a chance it can come back,” the cancer survivor’s father, Troy Reed, told the television station. The station went on to write that the doctors have stated the prognosis for Grant’s future is good. Additionally, the family donated a pair of wagons to the hospital for use by future patients at the hospital. The only stipulation? ”It had to say ‘Beat Michigan’ on [the wagons],” the father said. Thanks to this young man’s brave battle, the “Beat Michigan” battle cry has taken on a whole new — and wholly more important — meaning. God bless him.